Continental Freight Forwarding (CFF) is a leading contributor of supply chain solutions, dedicated to a new level of excellence. 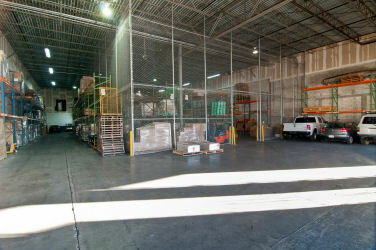 We offer an overall selection of logistic services. Our customer driven team will deliver continuous integrated result for you and your company. We acquire and deliver logistics, fulfillment, transportation innovation that combines Expedited Domestic, Air, and Ocean freight services. 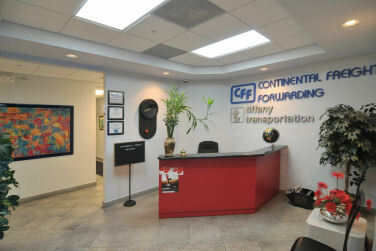 CFF was founded in 1972 as a family owned and operated business. That Freight is more Cared than Owned and it is our innovation to put the client in the driver seat. In YOU and that makes us different, we will always work together to give you the best logistical solution with unparalleled customer service as we answer to no one BUT YOU. We offer consulting, however the final decision is ALWAYS YOURS. In principals over profit and we will always strive to maintain honesty, integrity and fairness. CFF's strengths lie in the foundation of its own employees and diversified culture. Our company produces success by allowing our employees to achieve beyond their own hopes and expectations in order to address the needs of our customers. We offer customer service in most languages to accommodate our growing client/shipper and agent base. With ever changing technology and in a world of information that surrounds us, we are continuously improving our IT system to insure our team and our clients have the tools they need to effectively manage and control the interchange of cargo. The core of our comprehensive source of information for shippers and consignees lies with our web base system to manage your domestic and internationals logistics from beginning to end. As a leader in the logistics industry, CFF, counts with many awards and certifications such as C-TAPT, TSA, IATA and we are proud members of WCA *World Cargo Alliance*. Let US show you the magic of a CONTINENTAL experience, where others can't we CAN, where others fail we PREVAIL with our efficient team of experienced, productive and professional personal along with 24 hours 7 Days a week communication, we offer customer service with a SMILE. 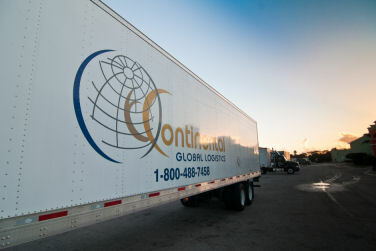 Copyright © Continental Global Logistics | 1850 N.W. 84th Ave, Suite 100 | Doral, FL 33126 | Powered by iSatisfy.com · Produced by JAM, Inc.